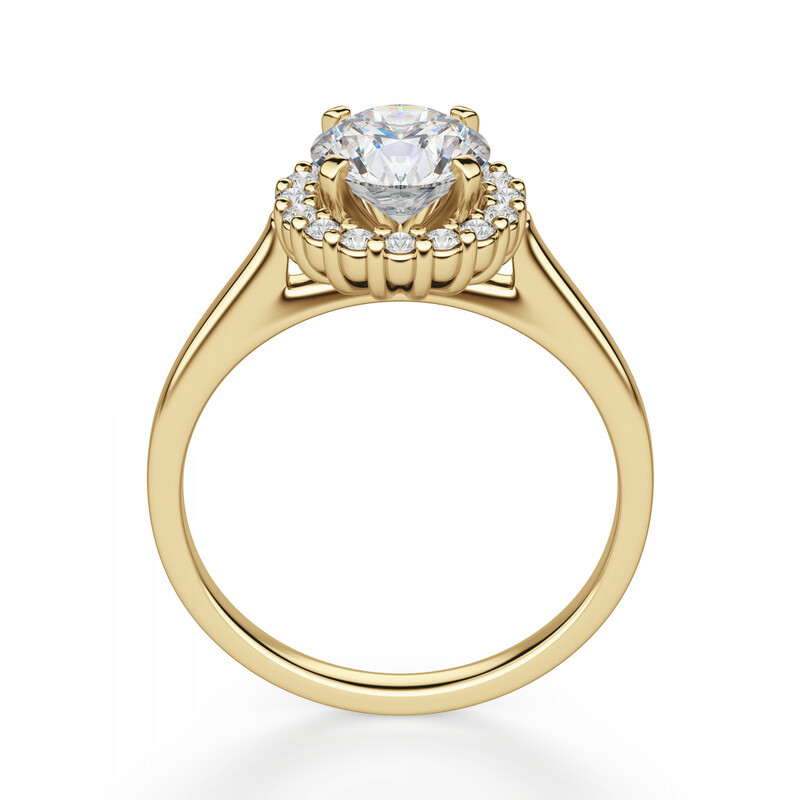 Marielle Round Cut Engagement Ring was added to your cart. 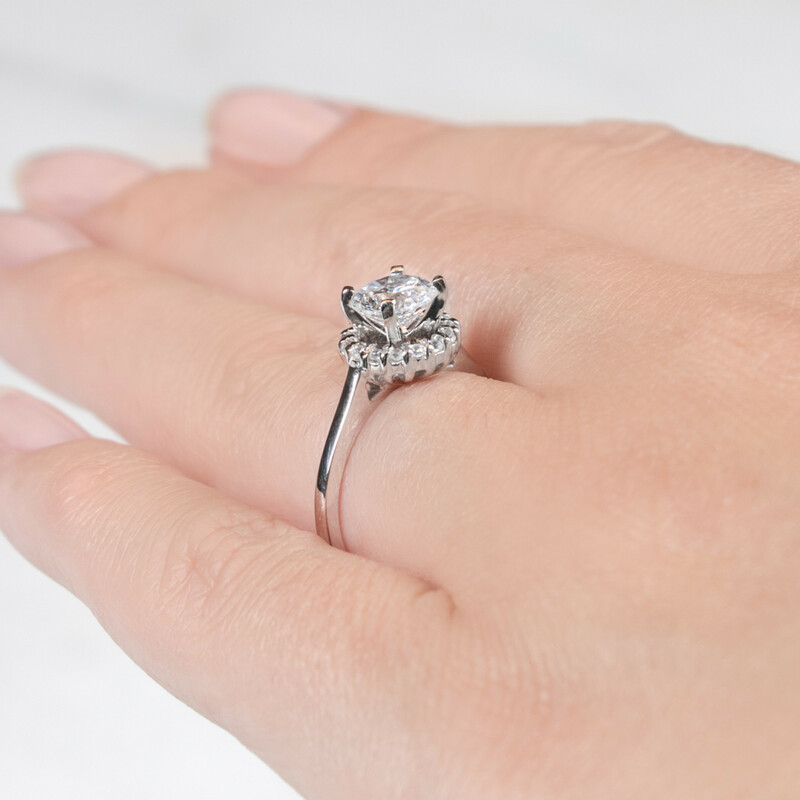 Romantic and sweet, the Marielle engagement ring combines glamour and simplicity in one lovely design. 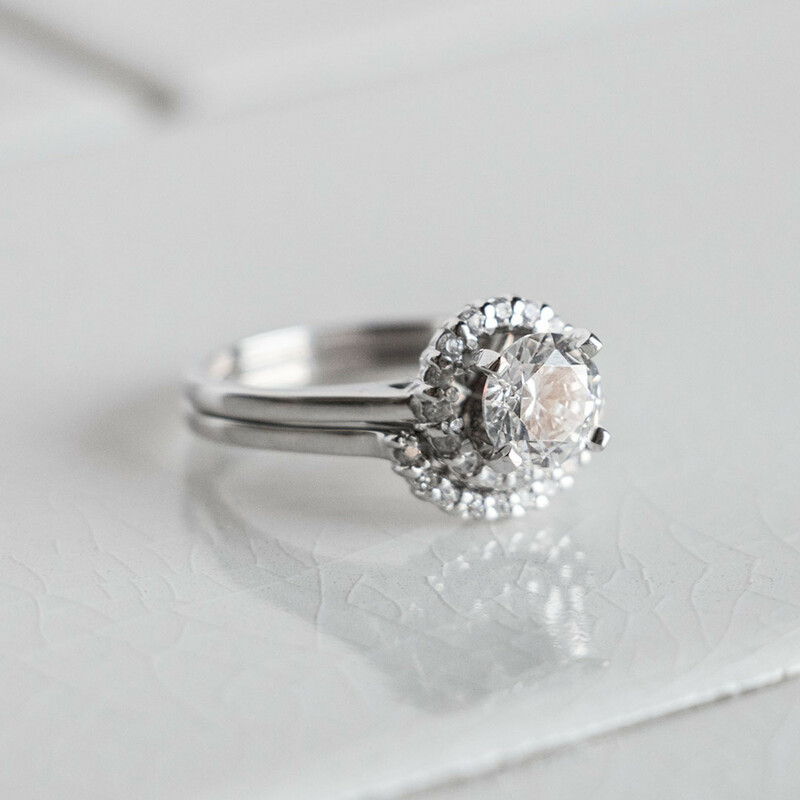 The Nexus Diamond Alternative center stone is slightly lofted to catch the light, while the surrounding halo adds even more brilliance. 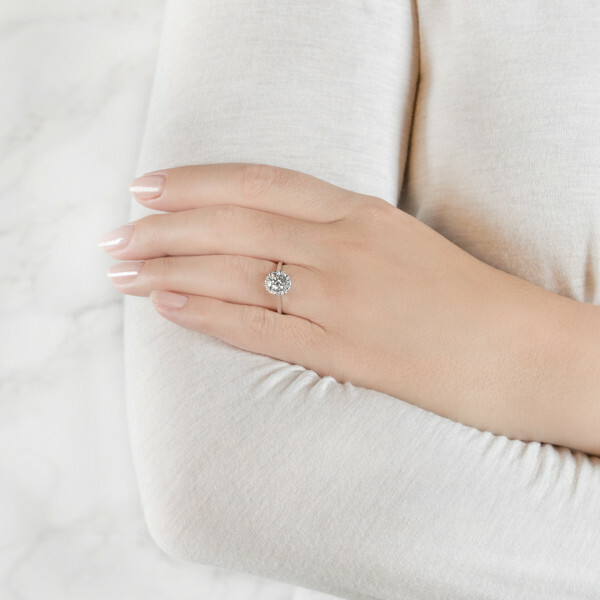 The smooth band is slender and comfortable, making this a perfect ring to wear daily forever. Complete the look with the matching Marielle band. What woman wouldn’t love this ring, but receiving it for Christmas was over the top exciting and amazing! I love the fire this ring has and already I’ve had so many compliments. But most important my true heart got me the most gorgeous ring ever! A true everlasting circle of love. I band is so incredibly thin. 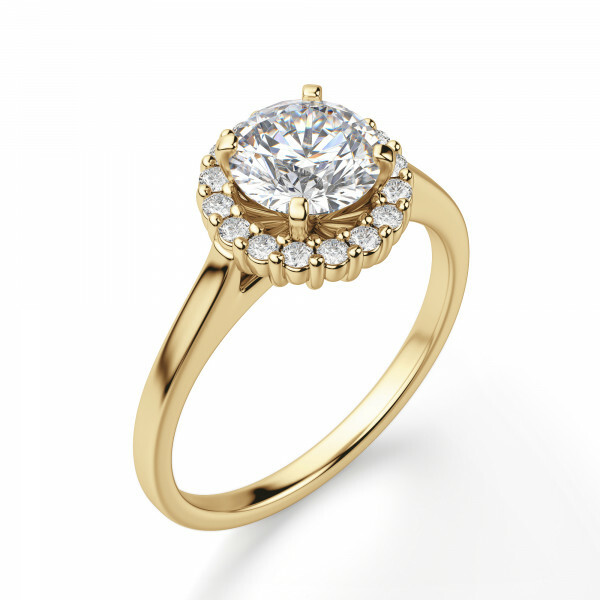 The ring has lots of sparkle and mimics a real diamond. My husband and I opted for diamond Nexus after struggling so much looking for a decent ring at other jewelry stores that wouldn't put us in the poor house. We chose to buy the half carat Marielle and it was truly one of the smartest purchases we could have made. We didn't spend an excessive amount of money, and under the right lighting, this little delicate ring sparkles beautifully. I gave it 4 stars only because it doesn't sparkle as beautifully in the sunlight and also I have to constantly clean it (once a week) to make it look it's best. Gorgeous vintage classy elegant but still simple! My fiancé just proposed with this ring a couple of days ago. He purchased the 14K white gold 1.03 cts center stone and I am beyond thrilled with this ring! I think diamond nexus had everything we were looking for at a very affordable price. I certainly plan on ordering from them again!! My fiance proposed last year with this ring, and I absolutely love it! I had requested nothing bigger than a 1/2 carat because I'm petite. He got the .53 stone which is gorgeous and still very impressive. I get so many compliments on it all the time. Love it! This ring is absolutely gorgeous on. My fiancé and I feel so smart about this purchase and I will likely order again from DN in the future. The pictures do not do this ring justice! Three hours after my fiance proposed, we hopped in the car and drove from Philly to Chicago to pick out my ring together. I was very familiar with Diamond Nexus' styles through the website and never gave this ring a second look. But in the store I couldn't keep my eyes off it! 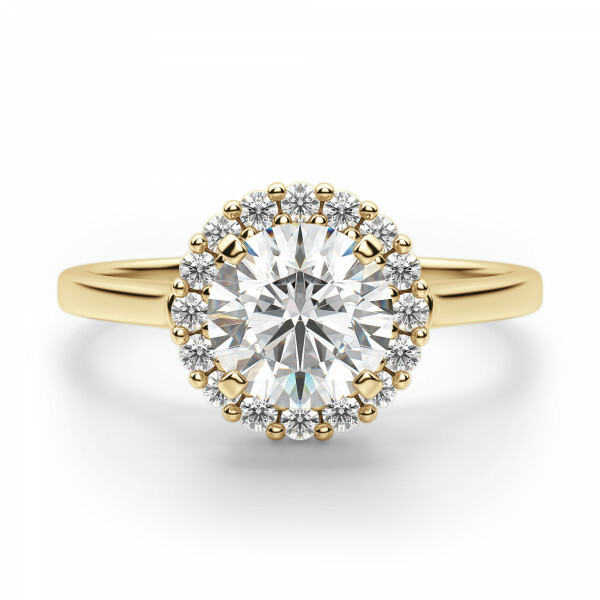 I love how delicate and feminine this ring is; the setting makes me think of a flower. The sparkle is awesome and I've received so many compliments from people on how unusual it is. Many people think it's a family heirloom because of its vintage charm. I love love love this ring and, if you can, I highly recommend seeing their collection in person. It makes a difference! I just received this ring in 1.03 carats center stone. The ring is absolutely stunning and truly has amazing fire. I am a size 5 finger and it is a perfect size. My husband is also thrilled with his tungsten band! Couldn't be happier. Thank you! I love my ring that I just received yesterday. It its beautiful! It if set woefully in white gold and exceeds my expectations. I choose Nexus because diamonds might not last forever but nexus diamonds are guaranteed to last forever. You cannot beat that. The only problem I had was the ring is a little big so I will have to send it back got resizing but it well be free. When me and my (now) fiancee started shopping for engagement rings, I feel in love with one similar to this at zales for $1800. He at first said yes to it then realized he couldn't afford it. 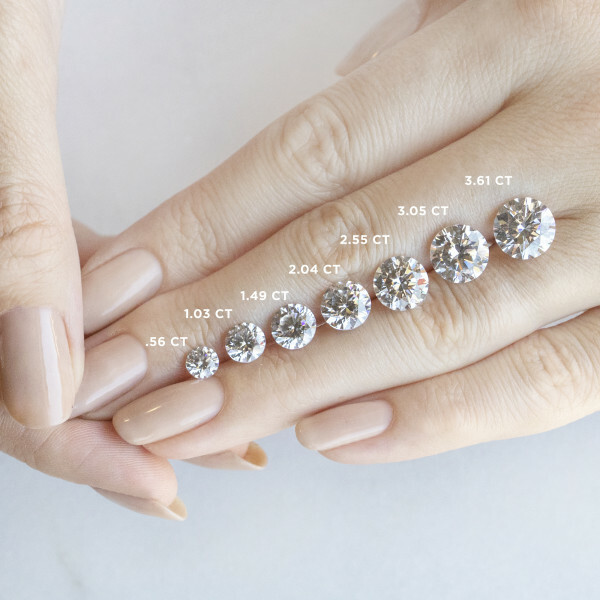 I searched for diamond simulants, thinking it would make a good alternative, and came across diamond nexus and I am so glad I did! When I saw this ring I nearly cried, I knew it was the one. He proposed to me with it today and it was wonderful. I'd looked at it so many times online I didn't think I would be suprised by it's beauty, but the pictures don't even come close to howstunning it is, I've never seen anything so gorgous. I got the .56 ct center stone because I don't like big rings and I have tiny hands and it's perfect. I haven't been able to stop staring at it all day, and I feel so good about the conflict free/eco-friendly aspect of it. And the stone is perfect, why would I pay 1300 extra dollars to get a less than perfect stone? The band is very thin, which is what I wanted, but if you don't like that then go with a larger style. I will definitely be coming back to diamond nexus for many more jewelry purchases and this ring will never leave my finger. Thank you diamond nexus for helping a broke college student make his fiancees dreams come true!